Welcome to Music Masters, the premier Greenwood SC car audio and home theater installation experts, vendors, and service providers. We offer best-in-class products with exceptional quality, including stereos and speakers, vildeo projectors, and BluRay players. 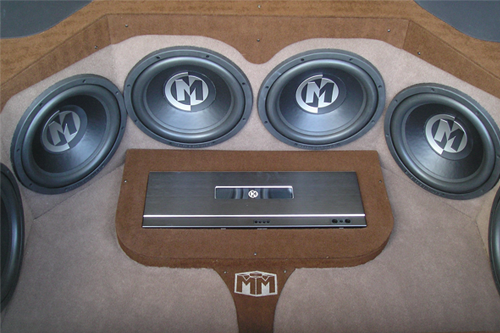 Music Masters can also install any audio or video equipment that you need to create a realistic surround sound experience in your car, home or boat. Our certified experts will handle your project from start to finish and save you from any worry or inconvenience. Whether you want to enhance your home, car, or boat with superior sound or theater systems, Music Masters is perfect for satisfying any of your entertainment needs. Browse our site and discover the many products and services we offer. Then contact us so that we can show you all of the possibilities for enriching your life through state-of-the-art audio and visual technology. For all your audio & video equipment installation, remember Music Masters. The Name Says It All! See some of the home theater installation services we offer. Cart Masters offers custom golf carts and does repairs! Music Masters is one of the most experienced and respected professional audio & video installation stores in the Greenwood SC and surrounding areas. Family-owned and operated since its opening in 1998, our unique approach to enhancing your vehicle has had people returning to our store for over 14 years! At Music Masters, we excel in our commitment to customer service. Our certified technicians have almost 40 years of combined experience to ensure best-in-class installations for our customers. We are professional experts for your needs in home theater system installation, custom car stereo installation, custom car video equipment, and boat stereo systems installation of any kind. We even build one-of-a-kind customized golf carts! Your home and vehicles are some of the largest monetary investments that you’ll make in your lifetime. When it’s time to install or upgrade your audio and video systems for these investments, you should only trust a professional to do the work.